​​HOUSTON AREA – Enterprise Holdings Inc. plans to open 12 new Houston locations and hire up to 200 entry-level employees by the end of 2017. 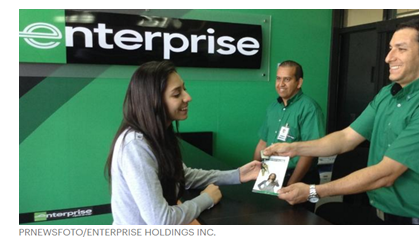 Enterprise Holdings operates Enterprise Rent-A-Car, National Car Rental and Alamo Rent A Car brands and has more than 185 offices in Houston. Fry Rd. at FM 529 in Katy. Additionally, Enterprise Holdings held a grand opening for its new Houston corporate office in December 2016. The new corporate office is a 28,500-sf building and located is at 21503 Spring Plaza Dr. in Spring. ​Check out Houston Retail Market Research.